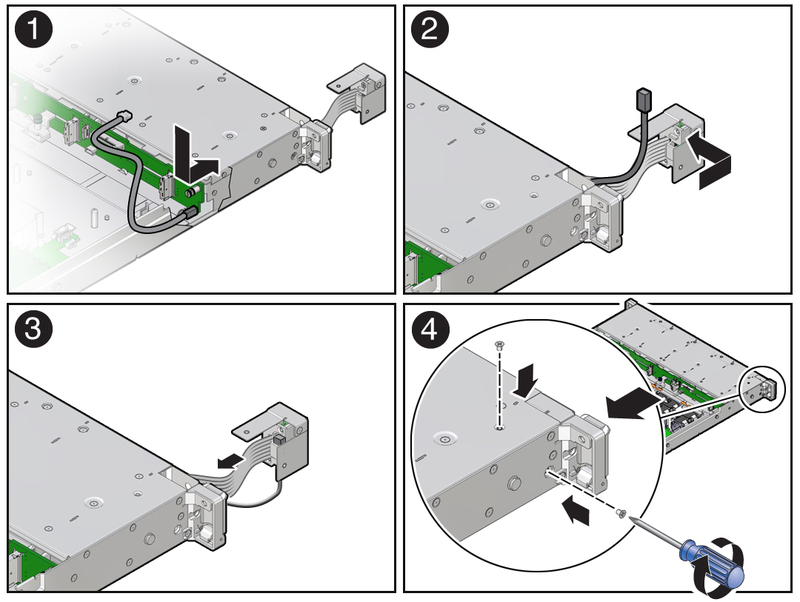 Install the temperature sensor by carefully inserting the sensor-end of the cable through the rear opening directly under the left side of the disk backplane. Then push/pull the sensor cable through the left-front chassis sidewall . Install the temperature sensor into the plastic housing by inserting the cable through the slit in the housing. Then ensure that the temperature sensor is properly seated into the housing [2, 3]. 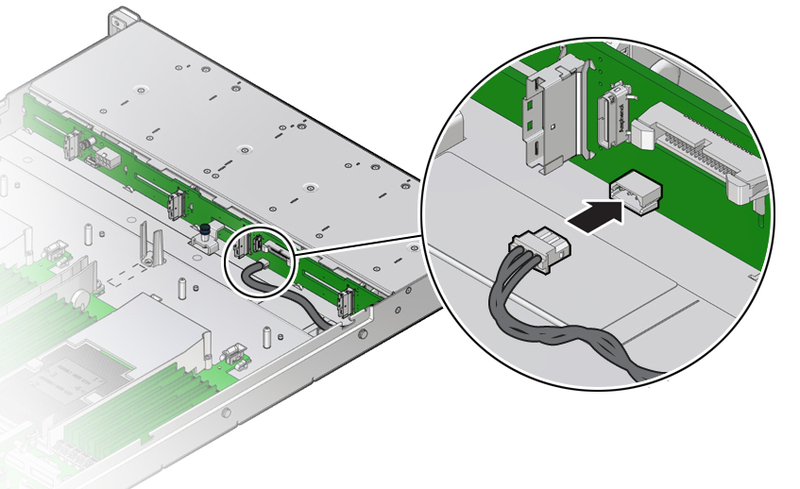 Reconnect the temperature sensor cable to the disk backplane.